When it comes to your child’s education, you are a Learning Hero. 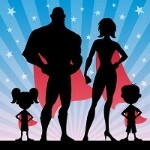 Your superpowers include expertise about your child’s interests, habits and personality. Combine this knowledge with a clear understanding of how to support your child’s learning and the sky’s the limit. Use the Super 5 to get started and find the answers to important questions with easy to use resources and videos from Learning Heroes, National PTA, Scholastic and others. To learn more, visit bealearninghero.org/super5. Did you know that students enrolled in career and technical eduation (CTE) courses are more likely to develop problem-solving, time-management and communication skills than other students? Here’s an infographic—from National PTA and the Association for Career and Technical Education (ACTE)—that demonstrates how CTE can help every child develop the 21st century skills they need to reach their full potential in college and career. View a larger version of the infographic. Take advantage of the opportunities offered at your child’s school. The Olympic Games can be such an inspiring and exciting time to watch TV as a family. But beyond the fantastic feats and colorful outfits, there are plenty of opportunities to engage kids in deeper conversations about everything from character strengths like empathy and perseverance to politics. Even though the pace picks up as our children head back to school, does that neccessarily mean that life has to get more stressful? One parent shares his thoughts about the myths parents buy into each school year, and how we can create a new viewpoint. Creating daily family reading experiences helps your children to develop their vocabulary exponentially over time and boosts their academic performance overall. Use our 10 helpful tips and tricks to get your child to take a look in a book. Looking to Volunteer With Your PTA, But Have Questions? National PTA E-Learning offers interactive and engaging online courses to help youbecome a better leader! Learn the steps for taking a program from concept to reality with our Running a Successful Program e-learning course. This course will guide you in the creation and delivery of innovative PTA programs in your local school community. If you are having difficulty keeping volunteers motivated, learn how to put an achievable plan together with Planning Your PTA Year. This course will set you up for a successful PTA year by assisting you in planning and goal setting. 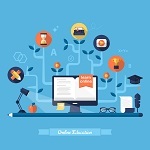 Visit PTA.org/Elearning today to start reaching your full potential! Lysol Disinfecting Wipes kill 99.9 percent of bacteria and viruses on frequently touched hard surfaces such as door knobs and desks (when used as directed). By adding them to your back-to-school supply list, you’re encouraging healthy habits for your child and helping prevent the spread of germs in the classroom. Feel like your teen is addicted to their smartphone? You’re not alone. Studies show that 72% of teens feel compelled to instantly respond to texts. With the Pause button, you can reclaim family time by halting activity on your child’s device—anywhere, at any time. Block social media, texts and internet browsing, so teens can’t get distracted. With the Schwan’s Cares™ fundraising program, your supporters can order and enjoy our wide assortment of delicious foods from Schwan’s Home Service, Inc., while you earn funds for your PTA. Students Design Their Own Greeting Cards—You Fundraise! Does your school need a fundraising idea? Try IQ Greeting Cards, a fun activity with no upfront costs. Using each student’s own design, we print personalized greeting cards. Students love sending their personalized cards to friends and family—they can be kept as a memory forever. Plus, EVERY pack of 12 greeting cards purchased results in funds raised for your PTA. When it comes to shopping for school, Staples has the lowest prices with our 110% Price Match Guarantee. Plus, you can find the best deals for school supplies on our Less List, and each week we offer even more savings with our Weekly School Steals. And don’t miss out on your chance to win a $50,000 scholarship and meet Katy Perry! Sending your kids back to school starts at Staples. Visit staples.com/backtoschool for more information.